Starting at the top of the chart, “Money Flow”, we see the ebb and flow of money coming into and out of the market over the short-term with the price swings. But lately that red histogram is staying about the Neutral zero line for longer periods of time. Also the Market Sentiment indicator (below money flow) has recently turned up to Bullish. The last time it was bullish was back in late December and that was weakly confirmed with a minor blip up in Money Flow. On Friday we did bounce off the 4780 level, the past swing high, but volume was light and it appeared to be driven by news more than anything else. I sure would like to see a couple of days closing above 4810 on average volume (showing folks not selling into a rally). That would help confirm this idea. We can also see strength in individual stocks within the S&P 1500. 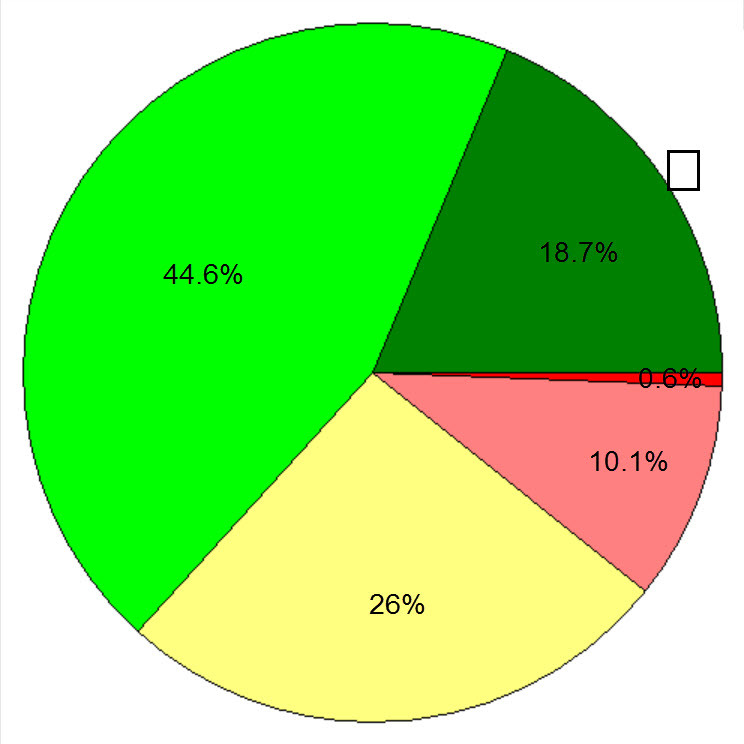 There is more “green” (stocks in accumulation) than “red” (stocks in distribution) on the pie chart below. This is a significant improvement in just the past week. charts courtesy of MetaStock & http://www.HighGrowthStock.com; used with permission.